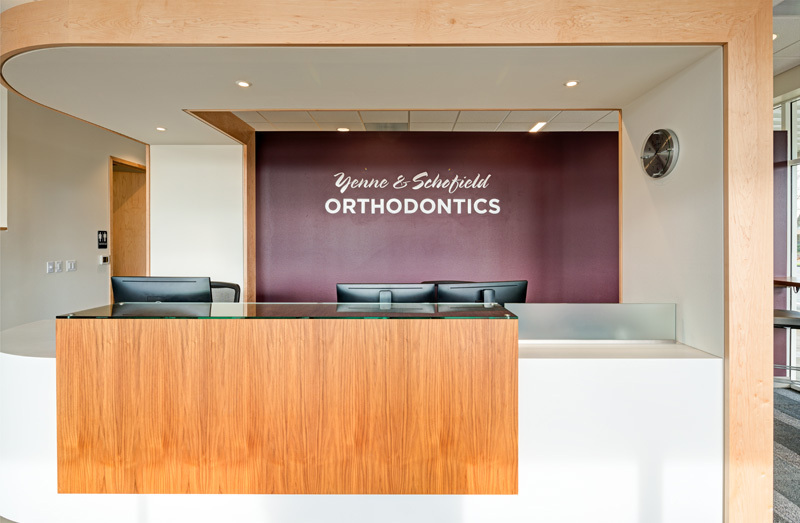 Yenne and Schofield Orthodontics were looking to expand their practice to include a Keizer Location. 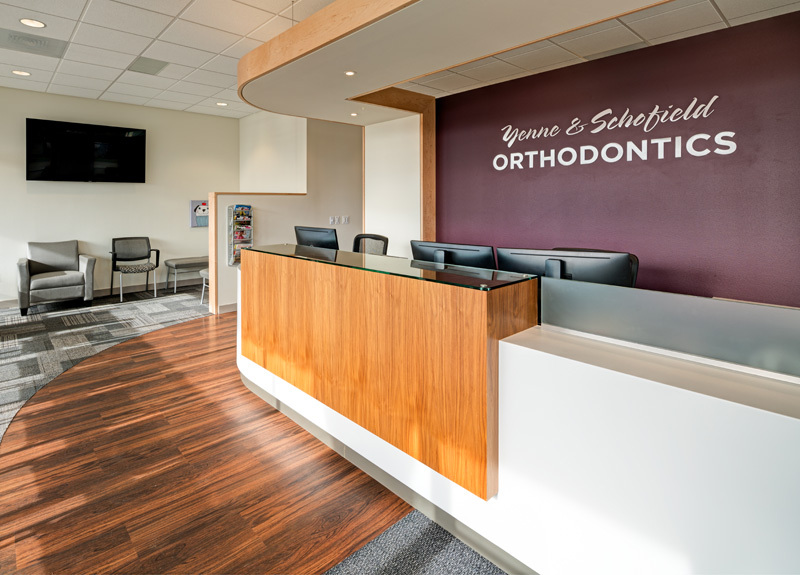 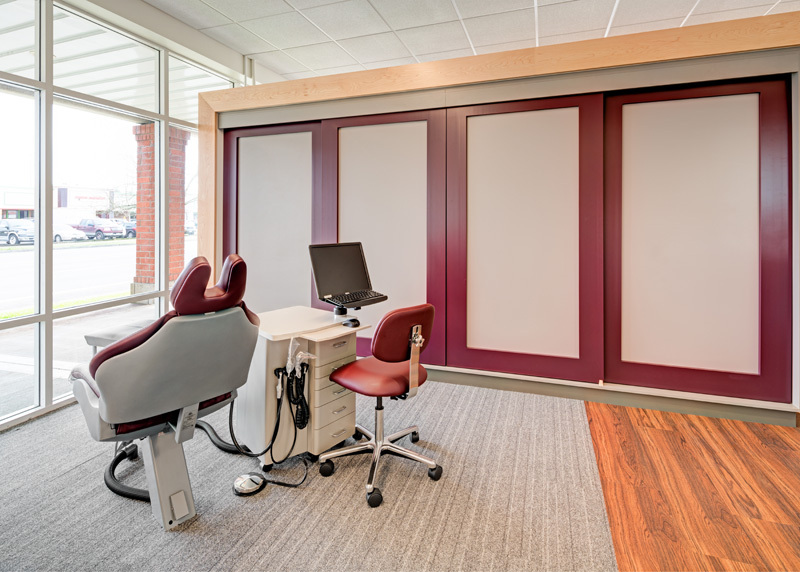 They wanted a space with an updated modern feel that would still be warm and inviting to their patients. 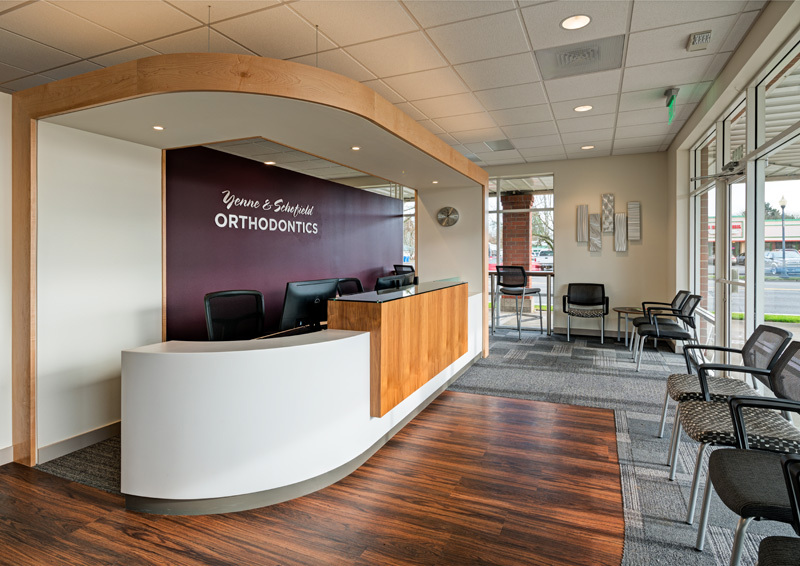 We worked within just over a 1,650 sq.ft. 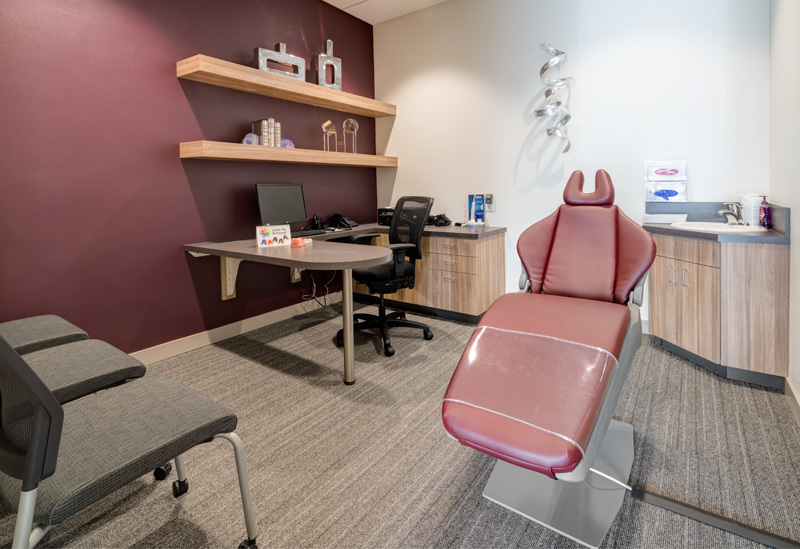 footprint to give them an inviting waiting and reception area, a private patient room/office, an open plan with four exam chairs, consultation, and lab workstation, a comfortable breakroom, and various working spaces for the staff. 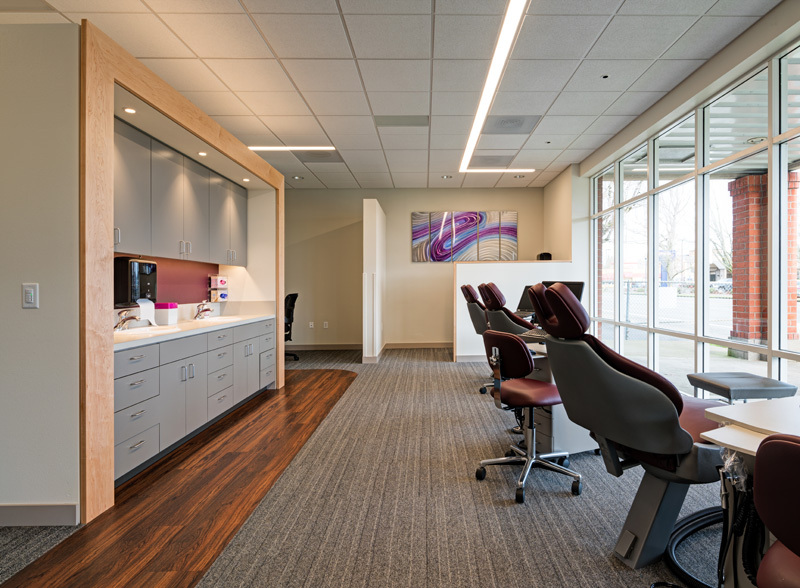 The finishes in the space carry through a rich aesthetic and are easy to clean and maintain within the setting.